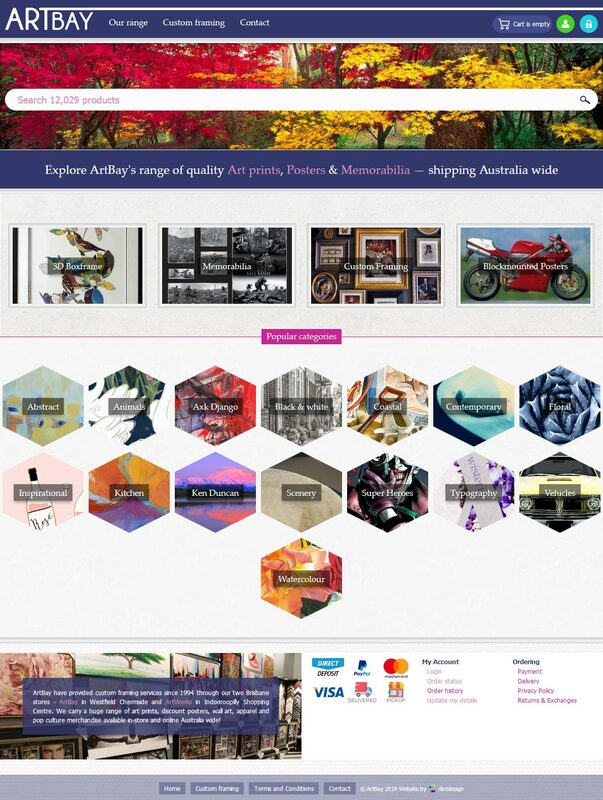 Artbay offer custom framing, art prints and block mounted posters through their two Brisbane based retail stores. They required an eCommerce website that would allow them to offer their products nation wide. The system was built specific to match Artbays' existing pricing structure and freight requirements. It allows Art Works to offer their images in multiple formats either as a plain image, block mounted or custom framed. Customers can specify frame style, matt colours, v-groove and glass using the AJAX powered interface which provides realtime visual feedback as well as pricing.